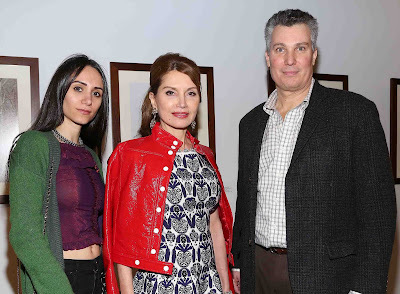 Spotted- The beautiful Jean Shafiroff with International Architect and Interior Decorator, Robert Couturier at the Winter Antique Show Opening Night Party. The Winter Antique Show benefits the East Side House Settlement. Headquartered in the South Bronx, East Side House serves residents of surrounding communities in the Bronx and Northern Manhattan. Today, a staff of more than 600 full and part-time teachers, social workers, and other experts serve 10,000 individuals from 28 program locations annually, with a budget in excess of $18 million – a significant percentage of which comes from private philanthropy.